The social networking site, Facebook, has soared in popularity in the last few years and is now used by millions of people around the world. A large number of its users are teens, who love to keep in touch with their friends, tell people what they’re up to and share pictures and videos. Whilst it may seem harmless enough, there are potential risks involved, but there’s plenty you can do, as parents, to help ensure your teens use Facebook safely. “Everyone’s on Facebook,” is likely to be a comment your teen may have made in relation to the popular social networking site. It used to be MySpace or Bebo that generated all the interest, but Facebook has well and truly taken over in the popularity ranks. The idea of social networking is great – you create your own page on the site where you can provide information about yourself, post pictures, let people know what you’ve been doing, and keep in contact with all your friends. With Facebook, there are lots of added extras too, so you can join groups that support causes you relate to, become fans of brands or people, join groups for your school or college, play games, fill in memes and send virtual gifts to your friends. But amidst all the nice elements of Facebook, sadly there are dangers lurking too. There’s often a tendency for teens to add anyone and everyone to their Facebook friends list, so in reality some of them might not be friends at all. Adding someone without adding privacy settings will mean that they can automatically see everything you’ve posted, all your pictures, your friends pictures where you’ve been tagged, all your videos, personal information, who you’re friends with and your status updates. Whilst most teens may not think twice about this, not everyone uses information in a positive way. Sometimes information or pictures may be copied and used in a malicious way (online bullying using social networking information is sadly becoming a common phenomenon) and if teens subsequently fall out with ‘friends’, their shared images or information may be used in a harmful way. If they’re making friends via Facebook, you don’t always know who people really are or if they’re who they say they are. For example, there may be older people masquerading as teens to try and befriend them or paedophiles lurking behind teen profiles. As a parent, you can do a lot to help ensure your teen understands the potential dangers and learns to use Facebook safely. Carefully explain the dangers to them, or ask an older sibling or friend to chat to them about it. For example, it’s not advisable to put your whole name, date of birth, address and phone numbers on Facebook, as this gives too much information away (and it could be stolen). They should also think carefully about how much information they give away about themselves, their school, friend’s and where they live in their profile. If they’re not sure, then keep it simple, as true friends will know the details anyway. In addition, do mention the dangers of posting slightly risqué photos on Facebook. Teens have a tendency to do this and although may seem fun at the time, in future this is the kind of photo they may regret – and once it’s out in the public domain, anyone could see it or use it. If you need to understand how things work yourself, then you could try setting up an account and having a play with the security settings. Although some teens are happy to be friends online with their parents, others might not be quite so comfortable with that – but it’s not necessarily due to them wanting to hide things from you, it might just be as it’s not ‘cool’ to be friends with your mum on Facebook! 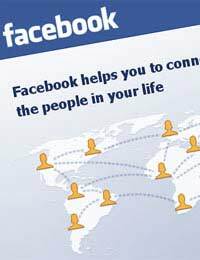 To help teens using Facebook to add more security to who views certain information, pictures or details about them, there are various privacy settings that you can make use of. Although they’re not always that widely known about, you can find the relevant settings under ‘Settings’ and ‘Privacy Settings’ on the top right hand menu bar. They take a bit of setting up, but the privacy settings are great, as you can control who sees which bits of your profile, pictures, updates, videos, friends and any other information. You can also group your friends into certain categories, such as ‘school friends’, ‘college friends’ or ‘acquaintances,’ and automatically assign the same privacy settings to all the people on that list. If your teen is adding new albums of photos, don’t let them forget to add the security settings too. Some of the general privacy settings are quite loose on Facebook, meaning that anyone that clicks on a tagged photo of your teen in an album can look at all their pictures – even if they’re not friends with them. This is one reason why teens should suggest to their friends that they increase their security settings too, as however careful they are, their friends may be less so.